U.S. and Canada. It was stage 3 of the CZ-4B rocket that launched Yaogan Weixing 26 on 2014 Dec 27 UTC. 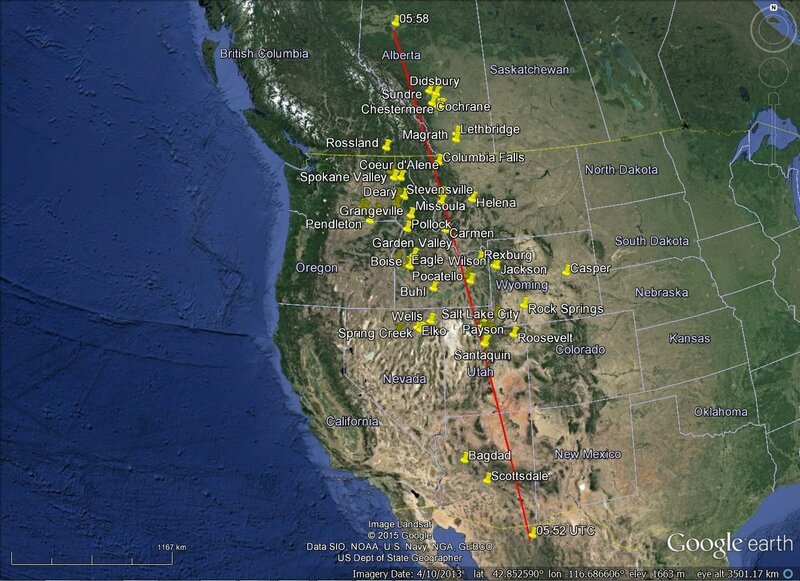 far was from Scottsdale, Arizona; the most northerly from Didsbury, Alberta. That spans nearly 3000 km of the descent. No doubt there are many more. Next message: Bj��rn Gimle via Seesat-l: "5919 Obs 2015-02-24"
Previous message: Greg Roberts via Seesat-l: "Optical 23 Feb 2015"